[SG EATS] Paradise Classic Brings Crouching Tiger, Hidden Dragon – A Unique Dish from Malaysia, to Singapore! With bright lights and bright turquoise colour popping out the moment you walk into Resorts World Sentosa (RWS) , the new Paradise Classic would be hard to miss. The Resort World Sentosa outlet donned a new and vibrant outlook compared to it’s sister outlets, highlighting an oriental feels with a twist of modern. 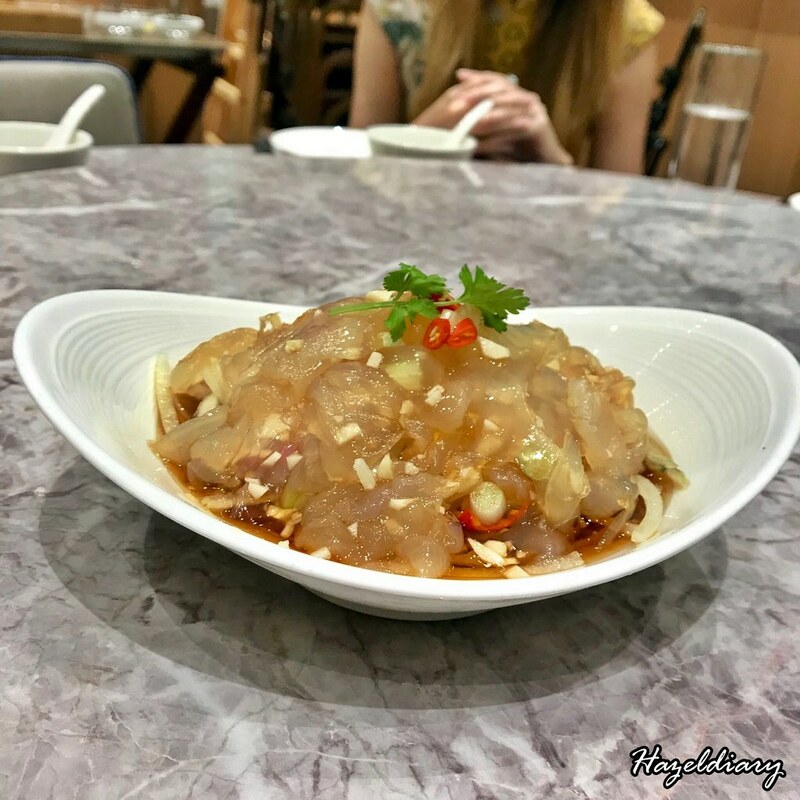 Starting the night with their signature Chilled Jellyfish in Garlic Soy Vinaigrette S$9.80++, was great to have it as an appetiser. It definitively warms up the taste buds with the vinegar flavour. Soaked in old vinegar, the fresh jellyfish slices slides down the throat easily like a child on the slide. 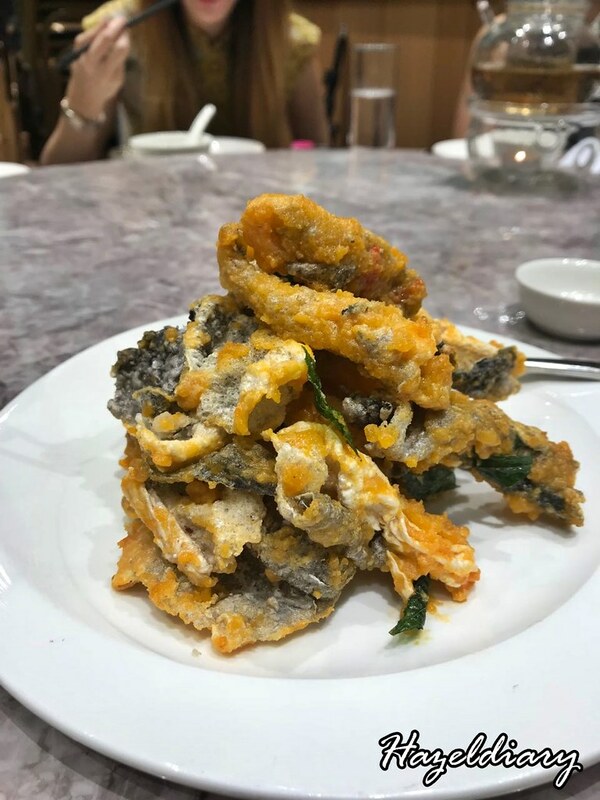 With the trend of salted egg still trending, freshly crisp-fried fish skin with salted egg yolk S$10.80++ is served next. This won points for its freshly fried skins instead of coming out from packaged salmon skins. Next up was the highlight of the night, the Crouching Tiger , Hidden Dragon S$68.80++ per pot. This bowl of goodness is origin from Malaysia. 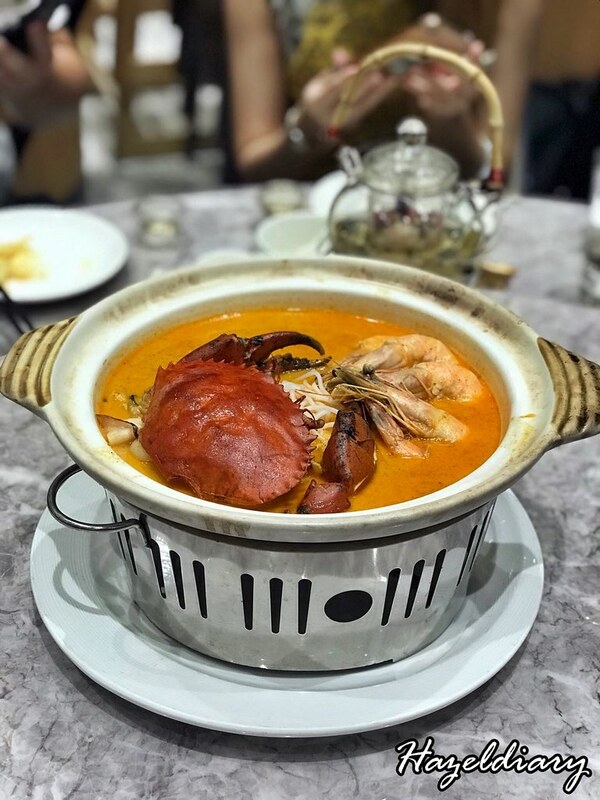 The pot serves fours in one serving and comes in two different flavours – Seafood and Spicy. The Spicy flavour would be great for those who are looking for a Seafood Laksa taste. 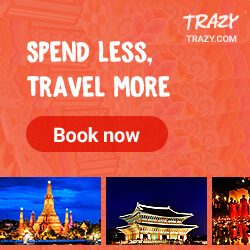 The spicy version is boiled for more than four hours, and is punched up by the flavours of homemade chilli paste, Chinese herbs, salted fish, coconut milk and more. 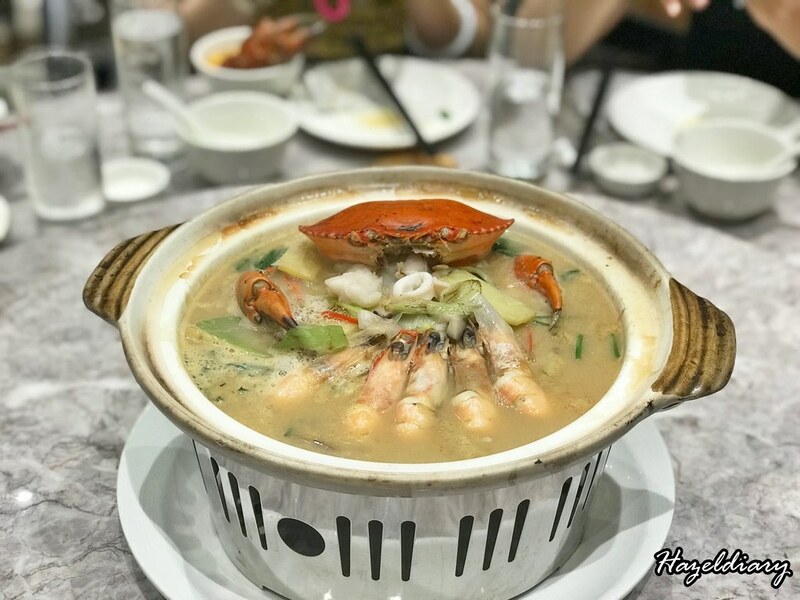 The pot is filled with Tiger crab, lobsters, clams and other kinds of seafood, it’s great to spice up the entire night. The Seafood flavour, was more to my liking. The broth is boiled for more than six hours with pork bone, Hua Diao wine, sesame sauce and bean paste. Thus, this explains why the broth was thick and flavourful for the night. Along with the delicate crab meat, and noodles, this was my favourite of the night. This was not a “photogenic” dish but don’t let the looks fool you. 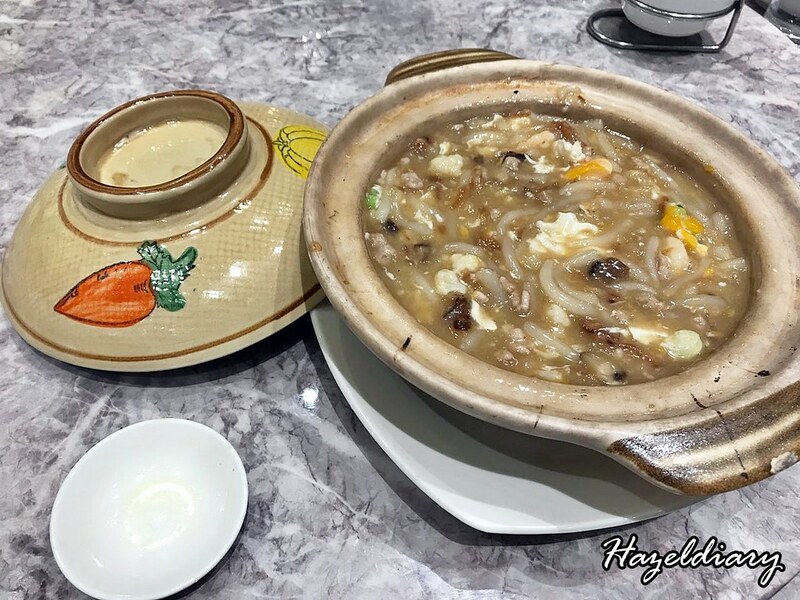 After one spoon, I could easily understand why this was one of Paradise Classic best sellers- Stewed Silver Needle Noodle with Fish in Claypot S$15.80++ (for one) and I fell in love with it too. Think of slurping a bowl of Mee Tak Mak in a thick broth, with strong fried onion taste, a comforting taste from childhood. If I had a short lunch break and I was in the area, I would stop by for this. 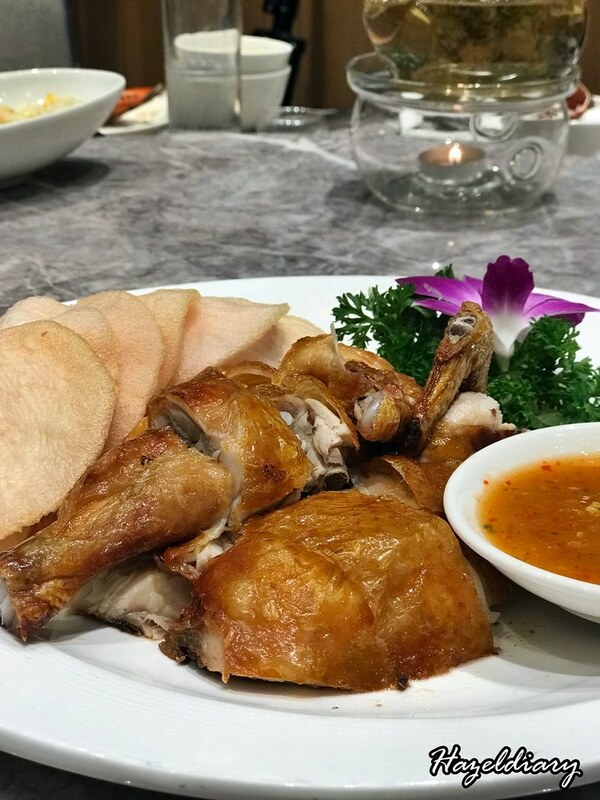 Signature Roasted Chicken – ( S$18.00++/half and S$36.00++/whole ) is hardly much of a something to look for in eateries like Paradise Classic, but this could be on your list the next time you visit. Freshly cooked upon order, you could taste the tenderness of the chicken and the crispness of the skin. Along with the chilli, you should be getting this dish on your next visit. End the night with Paradise classic range of desserts.We tried the mango pudding and jelly with basil seeds. If you are stuck between two, go for the refreshing jelly with basil seeds to end the night on a sweet note. 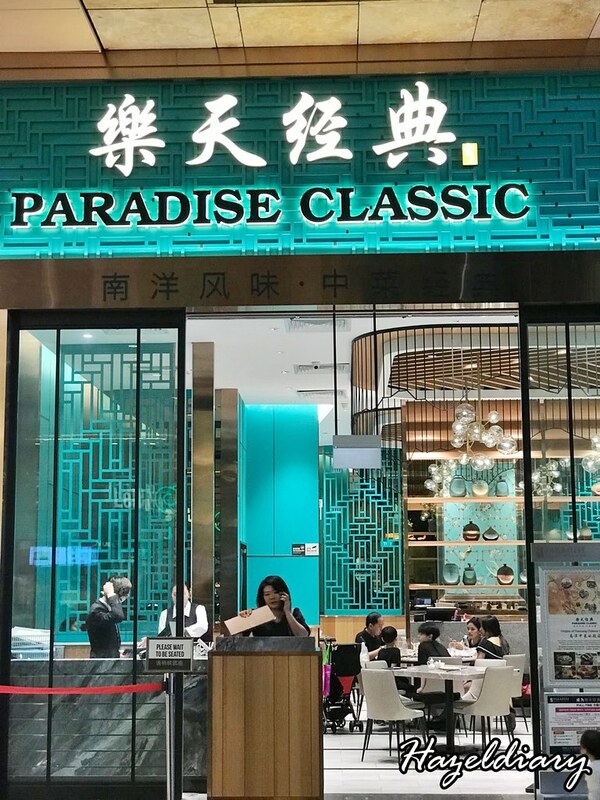 I enjoyed myself here at Paradise Classic, and it’s a great place for the family to take a trip down their traditional roots with Chinese cuisines. There is also no better time to visit Paradise Classic from 12 March to 30th April 2018 as the Crouching Tiger, Hidden Dragon dish is going at 50% with minimum spend of S$30.00. This is part of their launch promotion not to be miss! Note: Crouching Tiger, Hidden Dragon Promotion is only available at Paradise Classic outlets at Marina Bay Link Mall, Resorts World Sentosa, Suntec City and Thomson Plaza.